Bring your own light adult beverage and food. Live pre-show music by The Rich Moran Quartet. 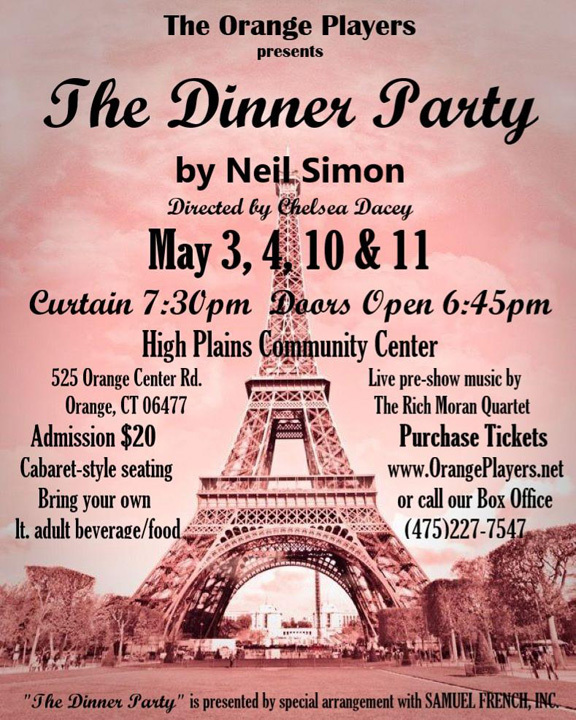 Questions or assistance, please contact our Box Office at 475-227-7547 or email TheOrangePlayers@gmail.com. Every effort is made to accommodate our patrons and to provide an enjoyable and professional show! We look forward to seeing you there! To join our mailing list or to support future productions with a $16 annual membership fee, please email TheOrangePlayers@gmail.com or visit our membership page. We welcome all new members and if you would like to join us in any capacity either onstage or behind the scenes, we encourage you to contact us! We will be posting our next General Membership Meeting date soon.